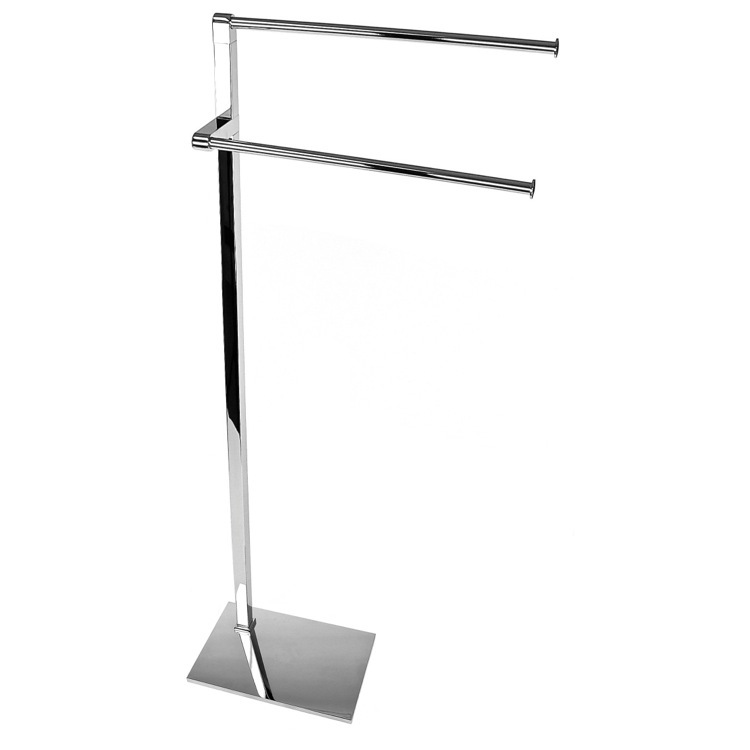 This truly designer, free standing towel stand is an excellent choice for modern styled bathrooms. This towel holder is made of chromed metal and includes two towel tails, holding two towels. The rectangle base is unique and highlights the clean lines of the design. This is an ideal towel stand to add some extra luxury to the every day.